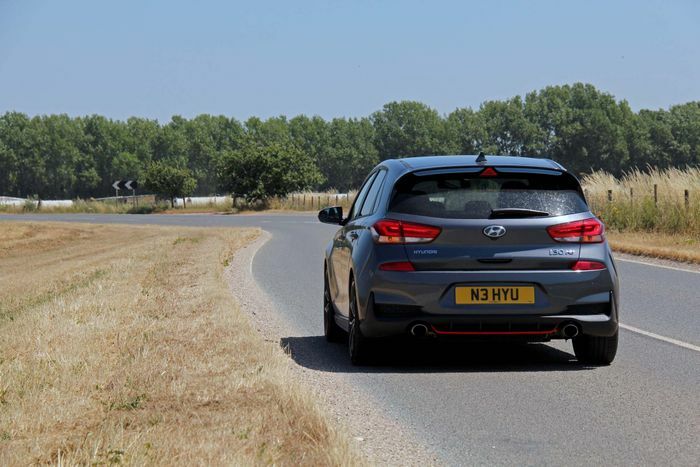 I was lucky enough to spend some time with the Hyundai i30 N the other week. Very much my kind of car it was too, combining useful stuff like rear doors, five seats and an exploitable on-road footprint with an explosively turbocharged 2.0-litre engine good for 270-odd horsepower and a clever electronically-controlled diff able to send it to the wheel best placed to use it. And strut braces. Strut braces are always cool, especially when they turn up in unexpected places. Like the boot of a Hyundai i30. This is a subtle but important sign of the engineering priorities that went into the car and flashes a huge clue about the way it drives. Which is to say brilliantly. Then my brother turned up in his absolutely gorgeous Evo IV, a car I have coveted from the moment he went out and bought it a few months back. And I thought, hang on, that’s got rear doors, five seats, an exploitable on-road footprint, 270-odd horsepower and a clever electronic differential too. 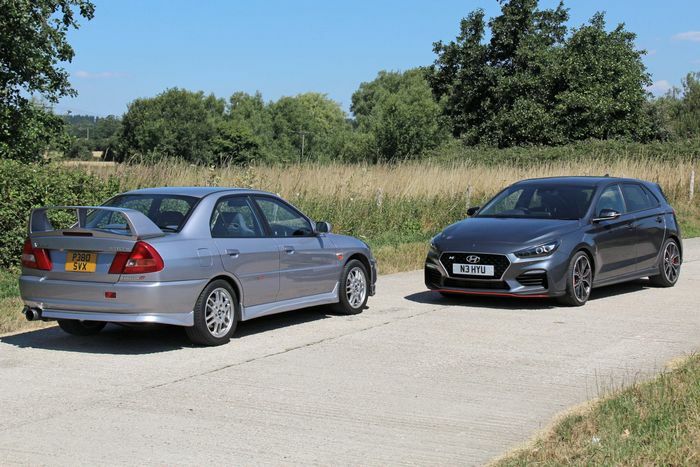 And it had all that – not to mention four-wheel drive and a sod-off rear wing – 20 years ago. 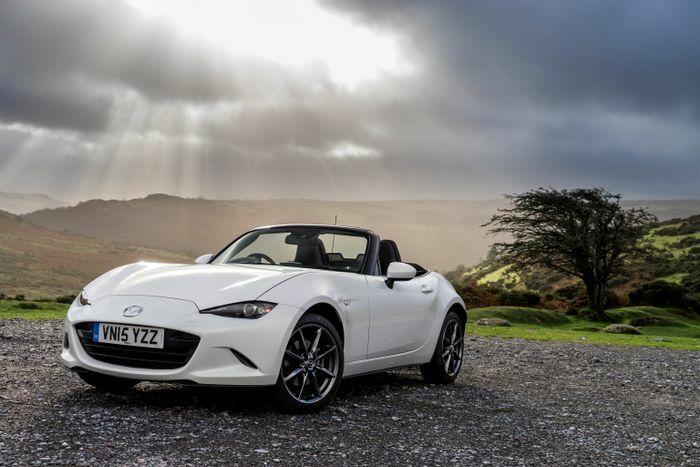 I’ve talked previously of my mum’s current-shape 1.5-litre MX-5. Great car it is too. 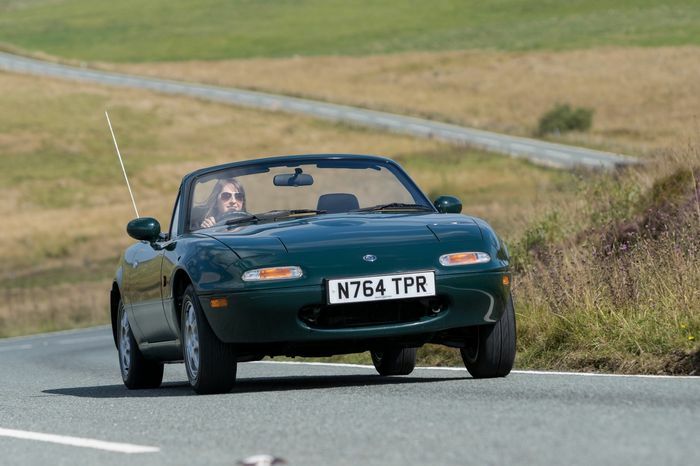 Personally I think the fact Mazda has matched the size, weight and character of my 1993 Eunos is an incredible achievement given all the extra kit it’s had to include to meet modern-day crash regulations and customer expectations. But the point remains that the template set down in my 25-year-old rattlebox is as relevant now as it was then. There are obvious caveats that shouldn’t really need addressing, but I have to anyway because this is the Internet and, if I don’t, somebody will call me out on it. Yes, an Evo basically needs a full service after every journey. Yes, as a Eunos owner I’m fully aware 90s JDM cars rust away to nothing if you don’t look after them properly. They don’t have CarPlay, blind spot warning sensors, configurable driver modes, adaptive dampers or any of the other paraphernalia we now expect in even a hot Fiesta. And it goes without saying that if I was going to be in a crash in an MX-5 I’d rather it was in my mum’s and not mine, no matter how awkward the phone call was afterwards. Because at least there would be a reasonable chance of there being an afterwards. There are various reasons those of us afflicted by the 90s JDM habit have it so bad though. Gran Turismo is obviously one of them. But out here in the real world I continue to be amazed at just how in tune with what proper drivers want out of cars these modern classics still are. This purple patch in Japanese performance car development gave us a generation of machinery packed with character and technology perfectly suited to driving conditions literally half a world away. Sure, I’d love a retro Porsche, a ‘90s M car or an original Mercedes E500. They’re lovely. But they’re also geared for three-figure Autobahn blitzing irrelevant to what you can do over here, and they’re ridiculously expensive to buy and run. Even with a reasonable recommissioning budget my brother’s Evo cost him a chunk less than what you’d pay for an E36 M3 of the same vintage. Even so, the way it tears apart a British B-road in conditions fair or foul remains an absolute revelation. Laugh all you like at the plasticky interior, lack of gizmos and comedy bodykit. Plenty in the family have. But as a machine to drive there’s nothing in the market today to equal its mix of size and punch. 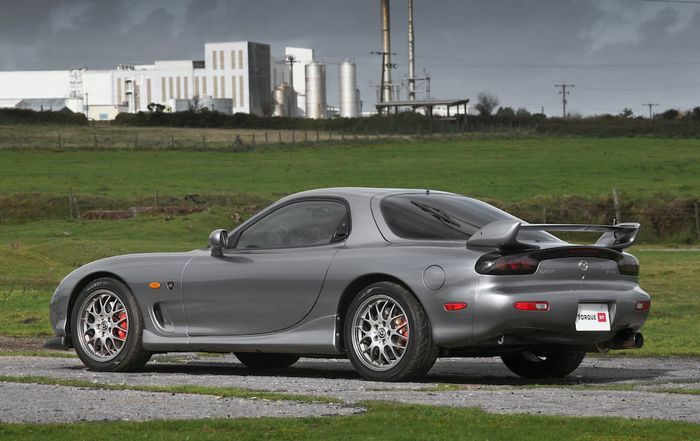 Earlier this year I was writing elsewhere about an FD RX-7 Spirit R for sale with one of the glitzier importers for £30,000. See how far onto the 90s 911 ladder that would get you and all of a sudden the engine rebuilds seem a lot less scary. That car was way, way more beautiful, more interesting to drive and more technically fascinating than anything the Germans were doing at the time. 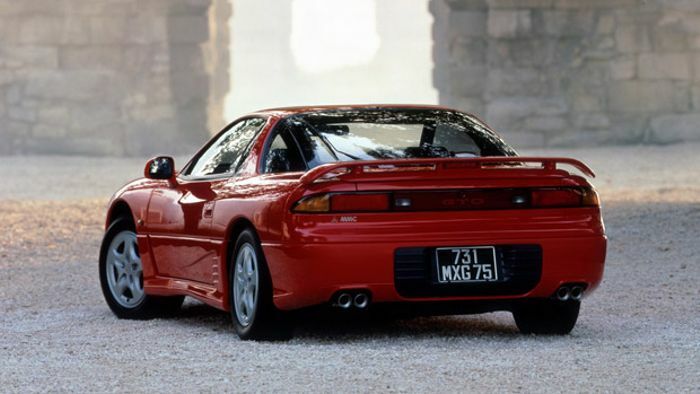 And for the true tech nerds let’s not forget the Mitsubishi GTO, a car packing four-wheel drive with differentials of all flavours, electronically adjustable dampers, active aero, switchable exhaust system, four-wheel steering and a hard-hitting six-cylinder twin-turbo engine. All kit the latest Porsche 911 Turbo sells for six figures as being the absolute cutting edge of sports car technology. Hmmm. OK, with the best will in the world even I’d confess that I’d struggle to choose a GTO or 3000GT over a modern 911 Turbo. 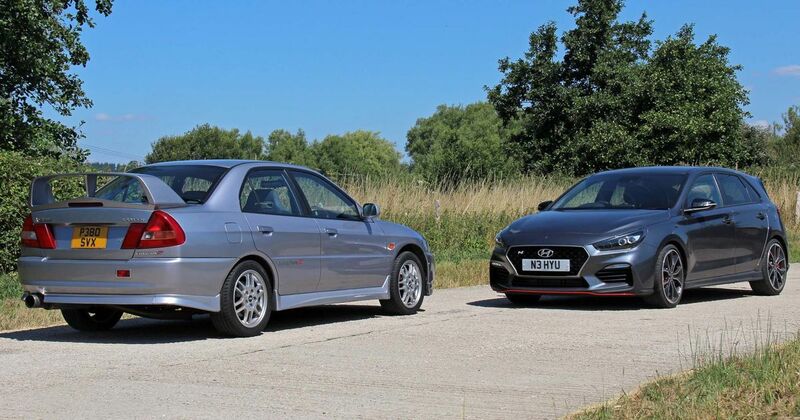 But the point is there – the 90s and early noughties were a period of incredible creativity and innovation in Japan and the cars that came from it deserve every bit of the fanatical love they get. Recommended car throttle shop Worldwide Shipping In The CT Shop Car Throttle Submit Your Videos To Get Featured On Our Social Channels Blog It’s A Great Time To Be Into Cars Even In Petrol's Twilight Years Blog A Rush Towards EVs Could Be A Parts-Sharing Charisma Whitewash Blog Here's Why Mitsubishi Stopped Making Performance Cars Blog 6 Spec Mistakes We Made With ‘Our’ Mercedes-AMG C43 Blog Our Disastrous Endurance Racing Debut Was A Hard Lesson In Mechanical Sympathy Blog Here's Why Elon Musk’s Bizarre 155mph Tunnel Is Pointless Blog The Hybrid Car Is Already Dying And Here's Why It Makes Us Happy Blog Why Are People So Angry About The New A90 Toyota Supra?